January 2017 – Random Reads! Here’s to different worlds… Choose a book set in a fictional world. This theme actually made me smile. I only read fiction so this is literally every book I’ve read. 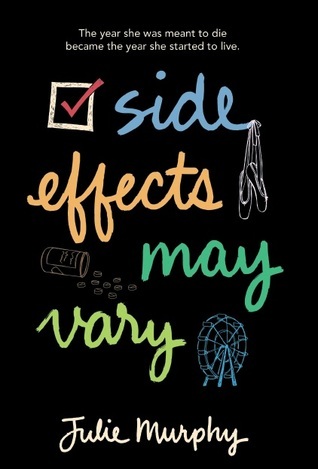 I have decided to do Side Effects May Vary by Julie Murphy. This is one of the many reviews I need to do eventually. Let’s get started! There isn’t very many covers for this book. 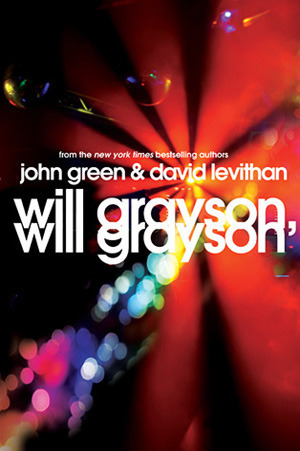 My favorite cover is the original one. It’s very simple yet eye-catching. I just had to single Italy out this week. 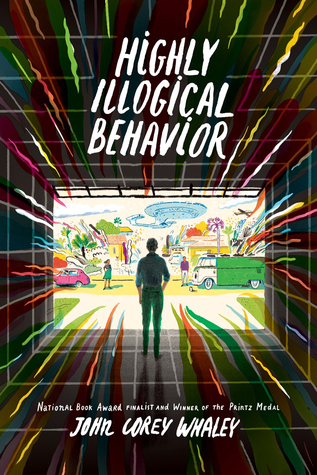 The cover has a random person on it which is one of my book pet peeves. This was the only cover that was different from the original. That’s a wrap! I apologize for the lack of covers this week. What book would you have chosen for this theme? Let me know! 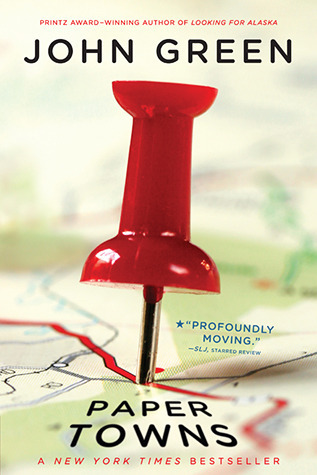 Thanks for reading and stay tuned for more Book Traveling Thursdays!! These are books that people either tend to love or hate, with no in between. Pick some of your favorites that fall into this category. Either you’re against the “romanticized and repetitive cancer theme” or you’re in love with Hazel and Gus’s tear jerking romance. Some think the story is boring. Others get drawn into the adventure. To me, there’s no in between. Some are drawn into the crazy friendship. Others are thrown off by the inappropriate and strange themes. My recent review/rant will tell you where I stand on this. I’m cheating the topic a bit by putting this book. I actually haven’t read it. 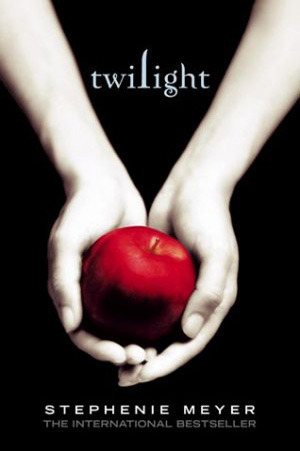 Twilight came to mind anyway when I read this week’s topic. 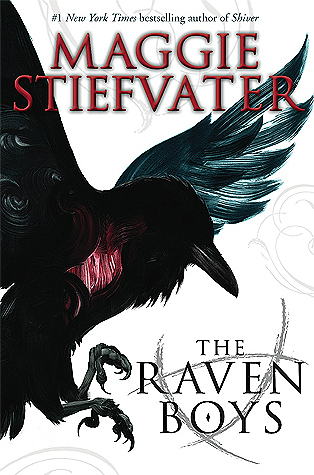 It’s definitely a book that you either deeply hate or a few enjoy. There’s no in between! That’s a wrap! Do you agree with my picks? What books would be/are on your list? Thanks for reading and stay tuned for more T5W! I’m going to do underrated books that I’ve read both recently and in the past. Not a huge difference but it’s still underrated in my opinion. That’s a wrap! I was hoping to find ten books but I only managed to find eight. If these books look interesting, click on the book cover. It’ll take you straight to the book’s Goodreads page. 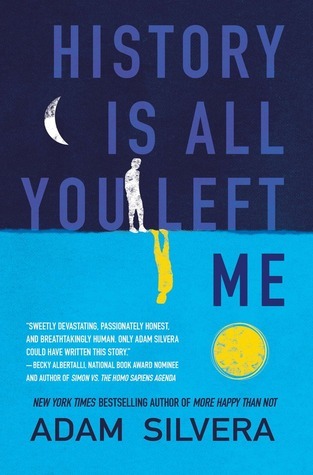 What are some underrated books you’ve read? Let me know! Hey everyone! 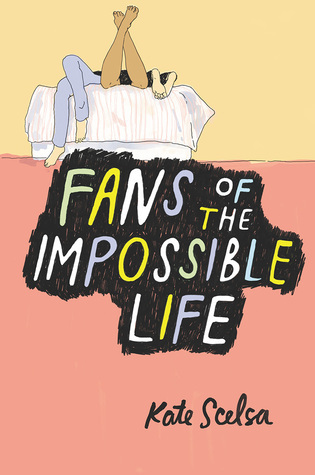 I finished Fans Of The Impossible Life by Kate Scelsa a couple of days ago. Now it’s time for me to review/rant about it for you! Let me know your thoughts about this book! Fans Of The Impossible Life is a pretty good book! It has three friends who are pretty close. 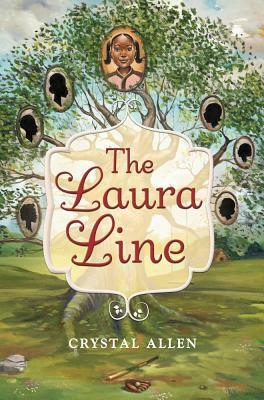 This book has great adventures and characters. This review focuses a lot on the flaws.That doesn’t mean you shouldn’t read it. You definitely should at least try it out. I just decided to focus on the negative for this review. 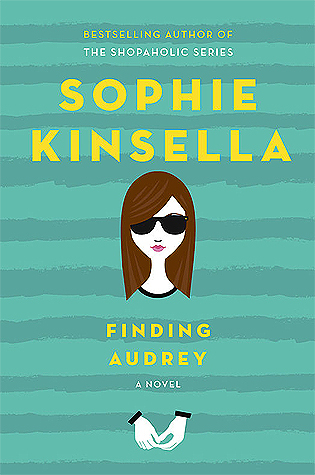 I’m surprised that it has a 3.73/5 stars on Goodreads. People have some serious issues with it. I guess I do too. One of the reviewers on Goodreads brought up a good point about the POV. The book is told from three points of views. Sebby, Mira and Jeremy. Mira and Jeremy’s POVs made me feel pretty connected to the character. I agreed with the reviewer that Sebby’s point of view was “Jarring”. It was kind of confusing and strange to read. People are having issues with the synopsis. 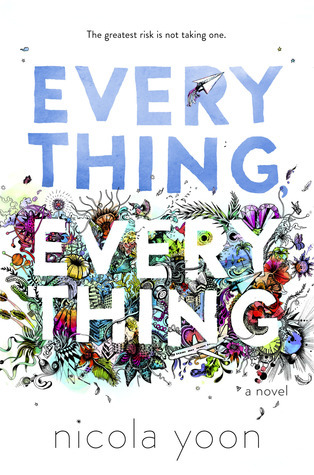 It claims that the book is about “a bisexual love triangle.” Sadly, that’s not at all what you find within the pages. It does address relatable and real life issues but no bisexual love triangle. I personally didn’t have an issue with it. The synopsis shouldn’t have misleading lines to get the reader to read it. If you’re looking for an adorable/steamy romance, you’re not getting that here. Like many reviewers on Goodreads said, there’s not much romance. 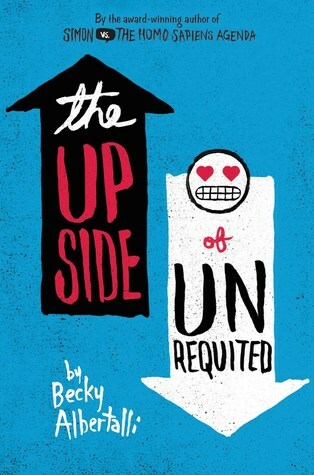 What is there is “unhealthy” and “skewed” Nothing like the usual Young Adult Contemporary novels. Hopefully this isn’t too much of a spoiler section. There’s a strange and inappropriate student-teacher relationship. A character who frequently steals and turns to drugs. Underaged drinking. Forced sexual moments while either drunk or on drugs. It’s not okay. These are all serious issues that shouldn’t be messed with. An inappropriate relationship is wrong. Stealing and drug use is/can be illegal. Forcing someone to do sexual things is terrible and totally inappropriate. This was a major issue in the book. All of these complaints and issues make it seem like I hated this book. I actually enjoyed it a lot. 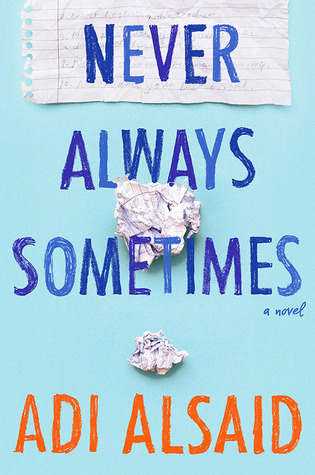 Reading the reviews and thinking about the plot made me realize the flaws in this book. I still recommend reading it. 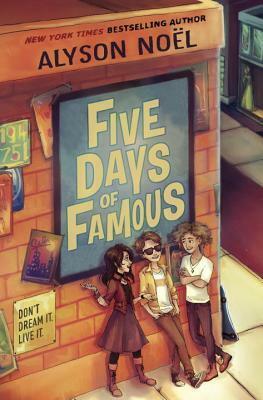 It’s a great story about three friends and their adventures both in and out of school. There’s just some parts that are uncalled for, misleading and/or incorrect. That’s a wrap! Thanks for letting me rant a bit about this book. 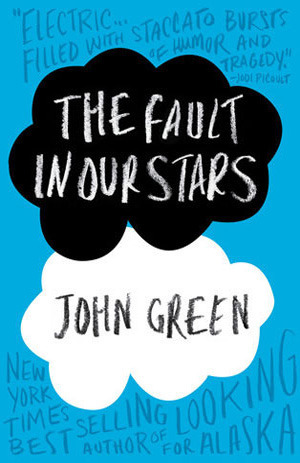 Reading through the reviews on Goodreads made me realize some huge issues with this book. 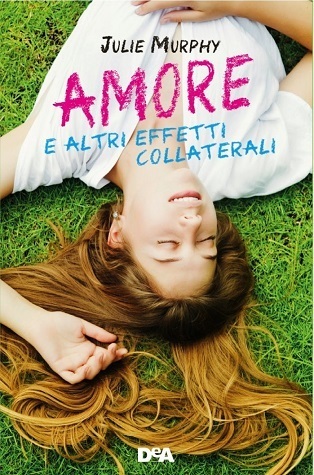 What did you think about this book? Let me know! 1. Who Was Your Very First Follower (if you can find out) Tag Them And Give Them A Shout Out! Digga3k was my very first follower. They unfortunately don’t have or never had a blog. A shout out to them anyway! 2. What was the last milestone you reached? I literally just reached 300 followers a few days ago. I’ve already gained five more followers since then. Thank you guys so much! 3. What was the very first post you posted on your blog? Share it with us! If you can find out. 4. Who was your most recent follower, tag them and give them a shout out! My most recent follower was Mugilian Raju @ Narotic Words. Thank you so much! 5. What was the last post you posted and who was the very first person who took their time to click the like button? Give them a shout out! My last post was 300 Followers!! The first person to like it was Emma @ Book Geeking. Thank you for the like! 6. How many months have you been blogging for? I’ve been blogging for 19 months or 1 year and 7 months! 7. Do you have any bloggers you’re friends with? Give them a shout out. 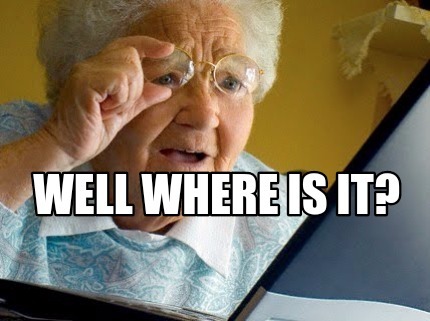 8. Who originally created the last meme or tag you participated in? Give them a shout out! The last meme I did was Book Traveling Thursday and it was created by Cátia @ The Girl Who Read Too Much. Kudos to her for creating such a fantastic meme! 9.Have you any social media related to your blog? Not really. Just a Google+ page with very few followers. I should really get something for my blog! I’m not going to tag anyone specific. Actually, I tag EVERYONE! You can do this tag if you enjoy it. It’s definitely a fun one. As always, no pressure to do it. That’s a wrap! I loved doing this tag. It’s really showed me how far my little blog and I have come. What are some little things you celebrate? Let me know! Hey everyone! Happy Wednesday. I hope you’re all having a wonderful week. I just wanted to do a quick post to let you know that I reached 300 followers! Thank you guys so much! When I first started this blog, I honestly thought it was going to be a flop. 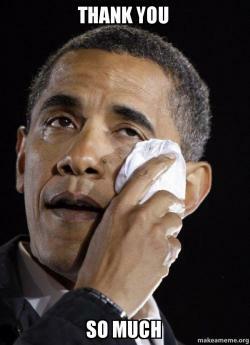 Now there’s 300 or so people following me. 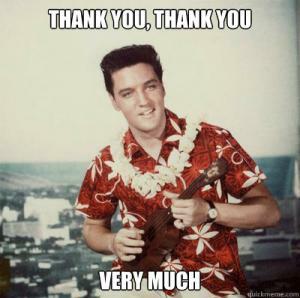 Thank you to those who comment on my posts. I love hearing your thoughts and opinions about whatever I’m talking about. Now that I’ve reached this milestone, What would you like to see me do? Comment your suggestions! Thanks for reading and let me know what you’d like to see me do! Hey everyone! I couldn’t think of anything to do for the Top Ten Tuesday topic for this week. I have decided to share with you, books I’m looking forward to this year. This list will definitely grow as the year goes on. These are all by authors that I love. Are you looking forward to these releases as well? Let me know! 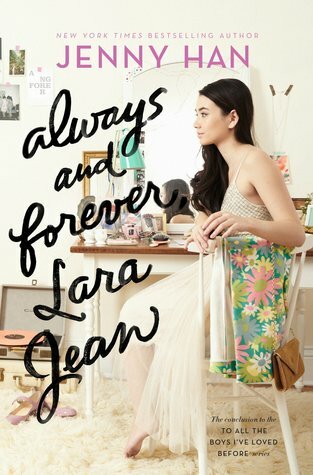 The conclusion to the three book series To All The Boys I’ve Loved Before. 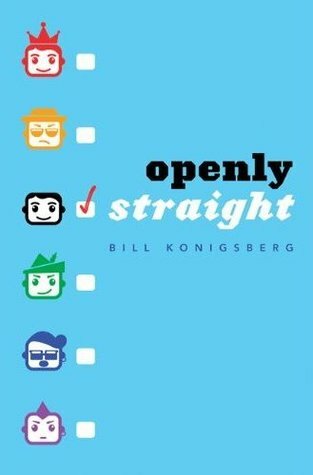 The sequel to Openly Straight! 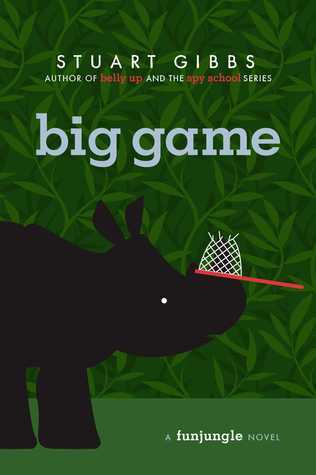 The fourth book in the Fun Jungle series for Young Teens. That’s a wrap! These are five books that I’m looking forward to reading so far this year. What books are you looking forward to? Let me know! Thanks for reading and stay tuned for more book posts! Hey everyone! It’s time for the 38th Book Traveling Thursday! This weekly meme is hosted by the wonderful Cátia @ The Girl Who Read Too Much. Go check her blog out for all things bookish. To find out more information, future themes and more, go visit the meme’s Goodreads group here. This is the first BTT of 2017. This week’s theme is centered around new beginnings. New beginnings… Choose a book you would like to read for the first time again. There is so many books that I’ve already done that would be perfect for this. 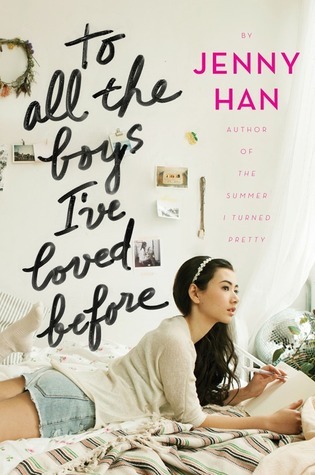 I have decided to do To All The Boys I’ve Loved Before by Jenny Han. I’d love to be introduced to the characters all over again. 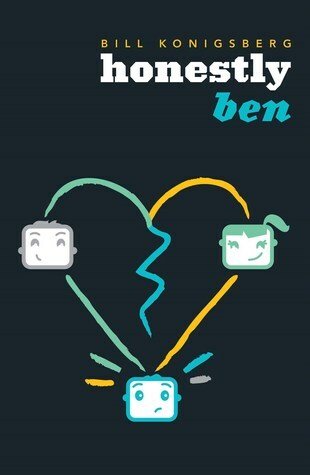 I am absolutely in love with Jenny Han’s two books in the series. Besides the original, this was the only different looking cover I enjoyed. 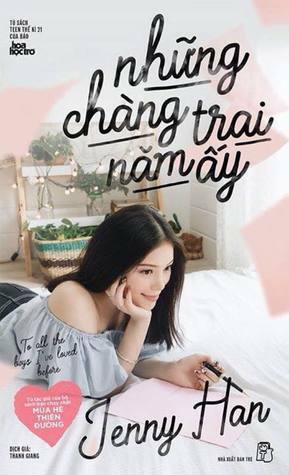 Props to the creators of the Vietnamese cover!! This was the only cover I didn’t particularly like. It just doesn’t fit the book. Sorry Poland. That’s a wrap! I thought this book would have a ton of covers. Most of them looked pretty similar to the original. These were the only two that didn’t. Hopefully the covers will be more diverse next week! What book would you read for the first time again? Thanks for reading and stay tuned for more Book Traveling Thursday!! Hey everyone! We’ve already finished one day of 2017. I think it’s time for another Library Book Haul. I haven’t done one of these in a while and know they’re enjoyed. This book haul consists of 6 books total. 3 are Young Teen and 3 are Teen. Ever since his mother died, 11-year-old Owen has felt lost. He’s drifting apart from his dad, his grades are dropping, and the only thing keeping him sane are the soccer trials coming up. Then, in the middle of school one day, he is sucked out of real life and thrown into a desolate alternative world, a largely deserted wasteland where a menacing storm of Darkness plagues the city, threatening his life and the lives of the people who dwell there. Terrifying as this new world is, Owen recognizes it–his dad is an author, and this is the setting of his new novel. Fueled by his grief over the loss of his mom, Owen’s dad has conjured a world so real and so fraught that Owen is transported to it every time his dad sets pen to paper. And he has to live out every word in the story. But each jump devours chunks of his real life. Owen misses days of school, and even a key soccer game that threatens his chances of having a shot at appearing in the tryouts at all. Owen desperately wants these events to stop, but doesn’t want to plunge his dad any further into the well of unhappiness that threatens to drown them both. 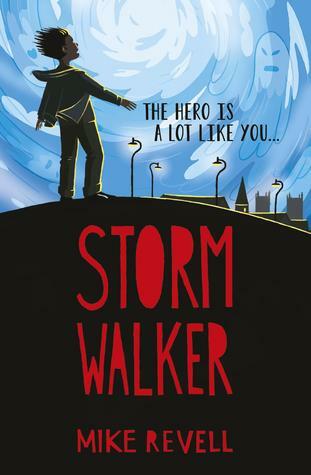 With social services threatening to ship Owen off to his aunt’s house and his school career spiraling out of control, what if finishing the story and battling the Darkness is the only way Owen can save himself . . . and his dad? But the extra security isn’t enough;someone is still getting too close for comfort. Teddy and company start to suspect that whoever is after Rhonda is really after her horn, which is worth a lot of money on the black market. 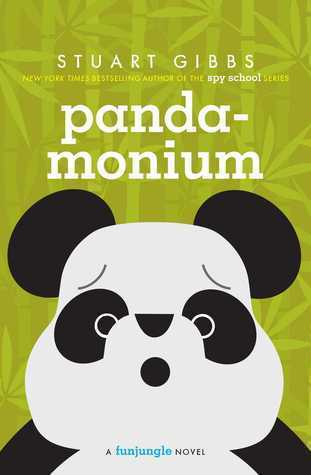 For the first time ever, the head of the zoo enlists Teddy for help; for once, he doesn’t have to sneak around in order to investigate, and the results are even more wacky, and even more dangerous, than ever before. Enter the Greentree Middle School Talent Show, hosted by teen sensation Josh Frost. The show might just be Nick s ticket out of loserville. But popularity doesn’t come easy, and when Nick is forcibly ejected from the stage, he feels like he s out of options. Desperate to avoid a permanent seat at the geek table and continued inattention from the love of his life, Nick chooses the only option he has left: he makes a wish. “Be careful what you wish for, ” the old saying goes and Nick is about to find out why. That’s a wrap! Do you have any thoughts on the books? Let me know! Hey everyone! It’s New Years Day!! Happy New Year! I can’t believe it’s already 2017 🙂 Only time will tell what happens next year. For now, let’s take a second and look back on 2016 on Random Reads. Happy New Year’s Eve. Take some time to remember what you accomplished this year too! I posted 175 posts. That’s actually way more than I thought I did. 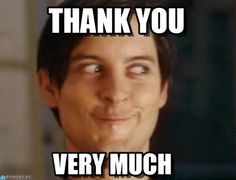 I reached 200 followers and am almost at 300. Elizabeth Dahl, an author, found my blog and gave me a Twitter shout out!! I read so many books that I lost track and failed my Goodreads challenge. I made so many amazing blogging friends and friends in real life. There was so much more that happened. These are just a few highlights. Thank you guys so much for a fantastic 2016. My blog Random Reads grew so much. I learned and changed a lot. My blog content and style has changed too. Though most say stats don’t matter, mine have been wayyy down. I’m not too worried. I just hope people know that I am back and haven’t given up. Happy New Year once again. I hope everyone has a fantastic 2017. No matter what happens, 2016 is in the past now. That’s something we can be happy about. A 2016 to 2017 themed tag and so much more!